A slice of bark on log provides the base for this unique Whitetail Antler Ceiling Light. 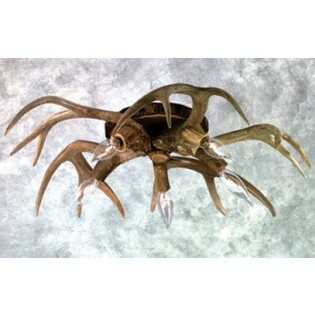 Made of real antlers this ceiling light will add the perfect finishing touch to your rustic decor. A slice of bark on log provides the base for this unique Whitetail Antler Ceiling Light. 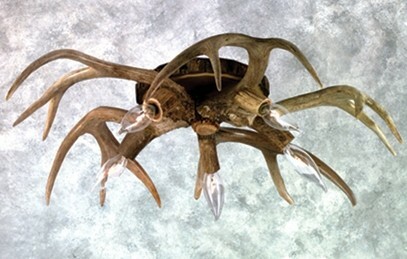 Made of real antlers this ceiling light will add the perfect finishing touch to your rustic decor. Choose 3 or 5 Lights. 60 watt maximum per bulb.